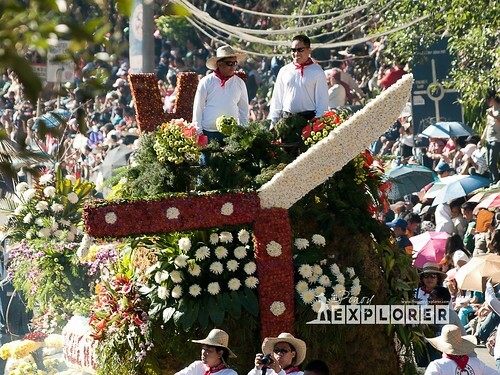 I have always wanted to see the Panagbenga Festival or flower festival in Baguio City. But I simply had no time to see it in the past years since it was launched. 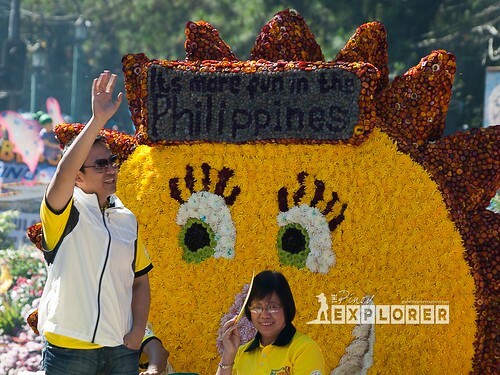 Flower festival is actually a redeeming factor after Baguio was struck by a temblor that registered at 6.9 on the Richter scale on July 16, 1991. 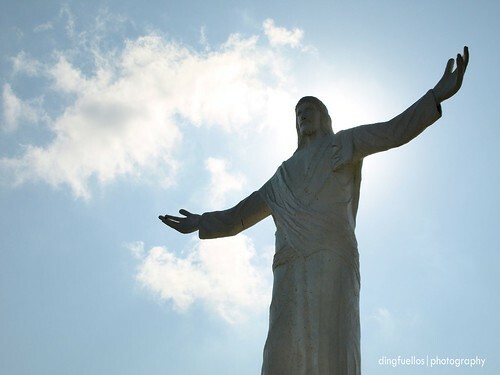 Since then, it became a hit in terms of tourism and is one of the biggest crowd drawers from among the festivals in the Philippines. I missed the street dancing competition because of some unforeseeable incident. Having missed that part is a big disappointment on my part. Again, because of heavy traffic, I was not able to catch the earlier parts of Grand Float parade. Be that as it may, I was able to see most part of it--not the easy way. Some spectators were already on the scene as early as 5AM to get the best spot. So, the late blogger that I am, I had to walk half a kilometer just to go to Upper Session Road where I expected lesser crowd but I was proven wrong. However, I very really determined or I have gone all the way to Baguio City to capture nothing. I had to inch my way through the crowd and I was glad I was able to spot a nice overlooking vantage point of the parade of float parade some 100 or more meters away. And I had to go up the road again and changed position. From this position, my 150 mm will be useless. So, I changed to 300 mm which was just right. It was just too impossible to get through the thick crowd so the long lens plus the elevated ground/ road did the trick--having in mind I have to photograph the event by all means. 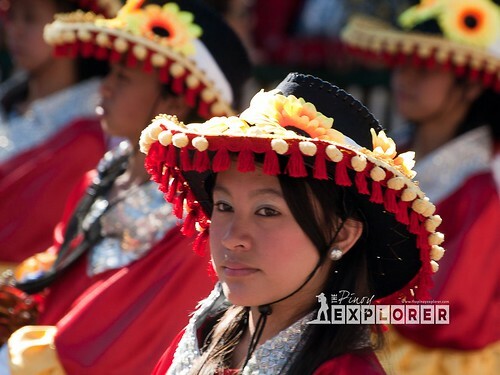 It was my first time to attend the Panagbenga Festival, and I have to document it. 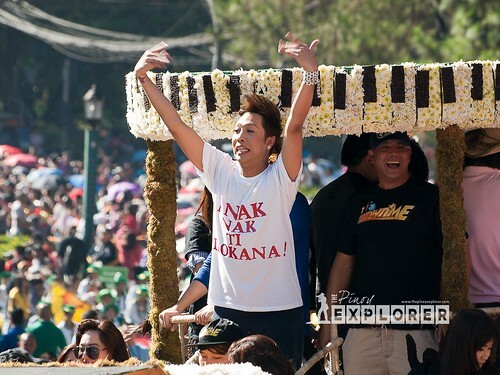 Attending the Panagbenga had it's good and bad points, highs and lows, but overall, I am happy I have been part of it, at last! 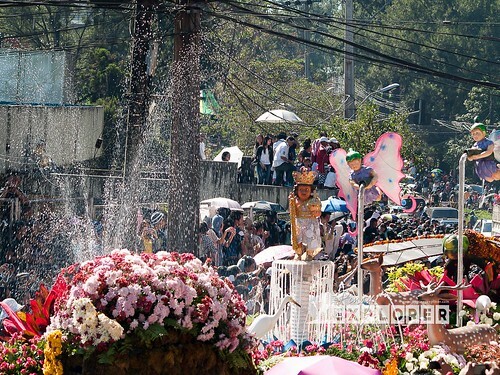 I thought to photograph Aliwan Fiesta was already challenging, but Panagbenga is far more difficult to shoot. I think, the festive mood changed all the ill feelings right after stepping on the scene. I am just glad to share with you some of the photos I took. The contingent from Taal, Batangas, featuring their Batangas knife. Vice Ganda, wowed the crowd! 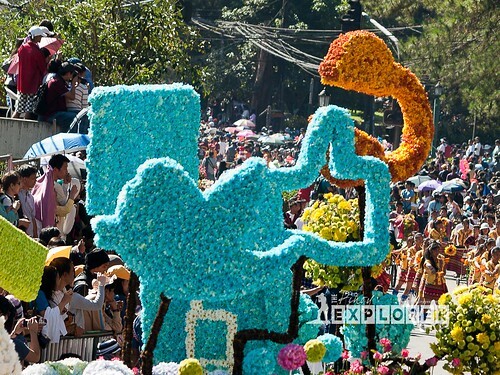 Social networking, more fun in Panagbenga! Special effects from Casino Alcohol. 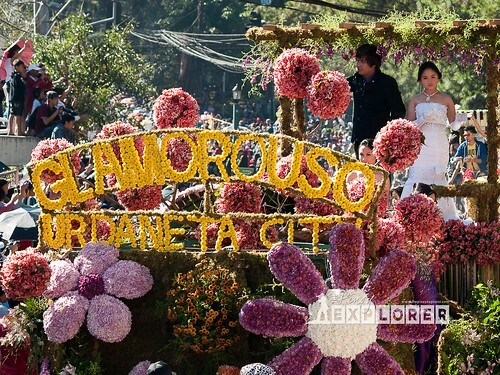 More photos at Panagbenga 2012 in Flickr. Watch out for more photos soon!